Journal Journey and Joy! : "Good Bye Lenin!" We can tell a lie, but we can't keep telling it. "Good Bye Lenin!" We can tell a lie, but we can't keep telling it. I'm really enjoying Berlin life, I watched a movie in Berlin. Because the flat where I rent is really comfortable. The building is very old looks like decades old. My flat is the highest floor. Allday sunlight shines for my room. I bought a basil plant. I think it grows up well here. 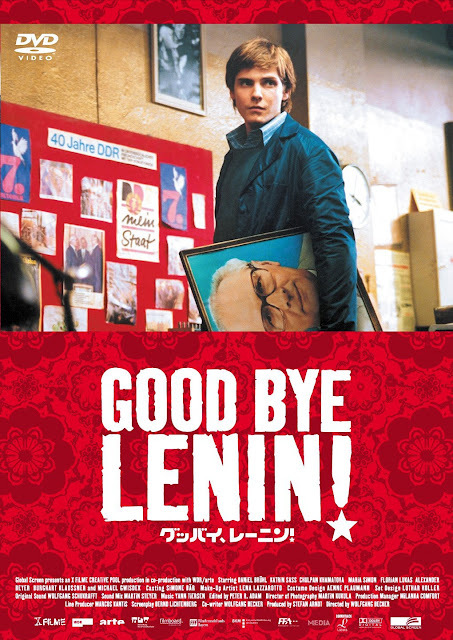 I watched the movie "Good Bye Lenin!" I felt how people faced the huge changing when the unification of Germany happened. Obviously, the theme of the movie is "Lie" Alexander made lies to save her mother. Generally, Lie is not allowed to tell, but what have you felt when you watched the movie? Someone tell a lie only for themselves, not for other people. At Alex's case, it was only for himself. He wanted her mother living longer. He can't tell lies forever. He would be a mental disorder before his mother died. His girlfriend Lara unburdened herself the truth for his mother. His mother did herself too just before she die. I think people can't tell a lie rather than shouldn't do because it's impossible for people to keep telling a lie forever. I learned about Germany and I thought about Lie because of watching this movie. It was fun but it's not entertainment movie for me. I put 4 stars for the movie.